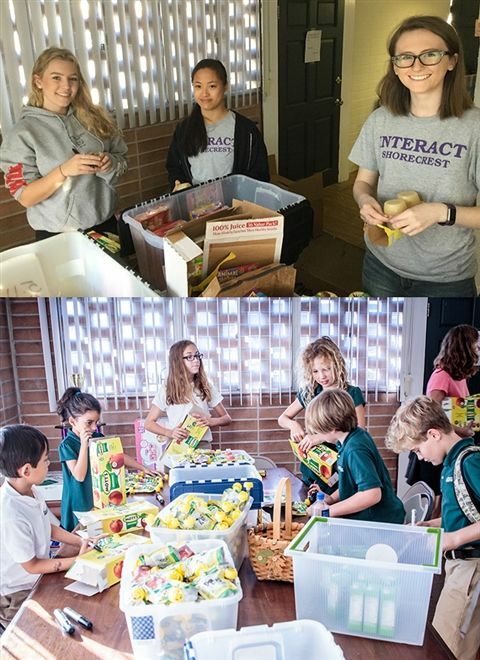 Members of the Upper School Interact Service Club volunteered at The Kind Mouse on December 16th. Thankfully, there were a lot of holiday donations, so the the students loaded, labeled, and packaged food for children in need. Two groups of Lower School students also volunteered to pack food at The Kind Mouse recently, led by Lower School Art Teacher Lori Auletta. Donations from Shorecrest helped feed an average of 350 local children every weekend first semester. Thank you for your participation!